In 2016, China’s G20 Presidency created the Green Finance Study Group which developed specific green finance recommendations, including promoting voluntary principles for green finance and increasing cross border investment in green bonds. Germany’s 2017 G20 Presidency is now taking forward the Green Finance Study Group recommendations to utilize green finance as a means to catalyze economic growth, enhance competitiveness and develop infrastructure, while increasing transparency to help mitigate risk. 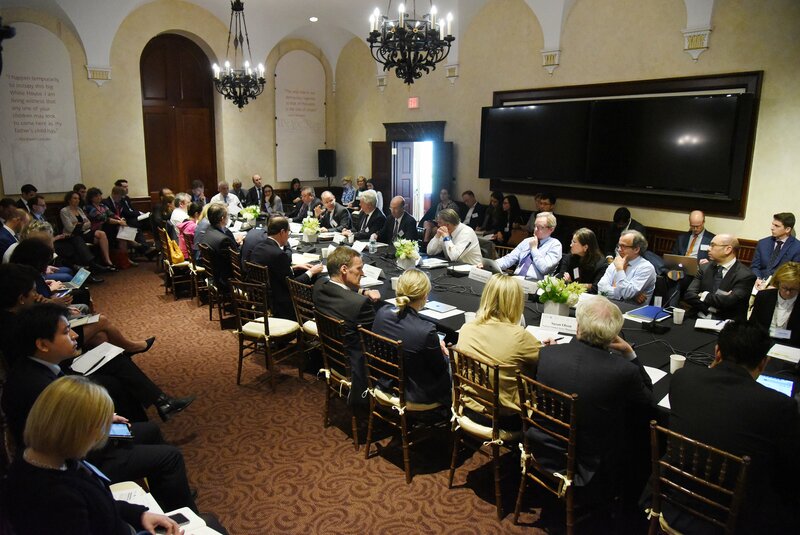 This was our third meeting in the Greening the Financial System roundtable series. As market participants seek to maintain the momentum of green finance in a changing landscape, this roundtable provided a forum for a lively exchange of views, including on mitigating risk through, and the increasing importance of, green finance for sustainable growth in both developed and emerging markets. With opportunities increasing globally for private capital investment in green projects, more work needs to be done to channel investment towards such projects. Discussants will review existing guidelines and emerging standards that encourage issuers and investors to seek green projects as part of their portfolio diversification. As companies look to develop cutting-edge technologies to meet their green finance goals, private sector financing will be ever more critical, resulting in the creation of new jobs and investment. This panel will examine the intersection between green finance and competitiveness, and what that means for the global economy. A summary briefing of the meeting is available here.